Many economic terms are wonky, mathematical concepts that one never hears outside of the classroom or an academic paper. Economists are often the only people who know or need to know these terms. But stagflation is a concept that every American should become familiar with. They should be able to understand what is stagflation. This economic situation occurs rarely but can have a devastating impact on the livelihoods and wallets of average Americans. Becoming more familiar with the idea of stagflation can help Americans know what to look for, and how to understand what happens to their wallets when this harmful situation occurs. This article answers the question of what is stagflation and describes what it means for the average American. 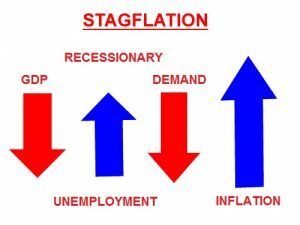 Stagflation basically means a stagnant economy, where the inflation and unemployment are high. Introduced during the weak economy of the 1970s, stagflation is connected to the macroeconomic model of supply and demand. In macroeconomics, a strong economy is one where unemployment is low, and most businesses produce products that people buy and use. Economic activity pays wages and pushes businesses to issue loans. This process adds more money to the economy, and leads to more employment. Inflation is an automatic and beneficial consequence to this process. If prices rise but wages rise at a higher rate, the effect is beneficial. It does not affect the vast majority of workers. Stagflation throws a wrench into that concept of inflation. Stagflation often results from an external factor that drives prices upward outside of the normal processes of an economy. For example, during the 1970s the United States experienced stagflation due to several factors outside of American supply and demand. The Vietnam War led to a number of debts that forced the economy off of the gold standard. More importantly, conflicts over a war between Israel and Arab nations led oil-producing states to stop shipping oil to the United States. Without Arab oil, the price for oil in the United States skyrocketed, increasing all other prices as a result. What happens to economy during stagflation? When this price increase occurs, it prevents the overall economy from recovering. High costs for products such as oil make all other business opportunities more difficult. Companies may be more reluctant to buy new businesses or hire more employees. This is because the money that would be used to fund those ventures has to go to pay expenses. Employees are unable to secure wage increases as a result of this lower business spending. Stagnant wages in the face of other rising prices means more debt. Recommended read: What is GDP? Stagflation may seem like a universally problematic concept that always leads to pain and frustration for Americans. However, in some specific situations, it can actually be helpful for an economy. Questions of what is stagflation good for can be answered by periods of extreme deflation. The deflationary process can be such a problem for the greater economy that it is sometimes advantageous for an economy to experience stagnancy simply to bring prices up. Deflation was what doomed the global economy during the Great Depression. At its heart, deflation was the collapse of the money supply. Extremely high unemployment meant people did not have the money to buy products. Businesses built thousands of products to rot in warehouses because customers could not buy them. Inflation from the depths of the Depression in 1932 helped the eventual recovery, even if it did not come with subsequent economic growth. Stagflation in the early years of the Franklin Roosevelt administration made the eventual postwar recovery possible by reversing the deflationary process, and giving customers the dollars they would later use to buy products. More dollars meant a higher price point, and a flood of funds that customers could use once the economy began to pick up steam after the Second World War. Outside of deflationary periods, stagflation aids people who like to save money. Rising interest rates on loans means that banks need more money from depositors in order to facilitate those loans. Therefore, they raise interest rates on savings and checking accounts. While wages may be low, and investments may be weak due to a stagnant economy, a savings account may thrive on double-digit interest payments. Stagflation can also help people pay back long-term loans with fixed interest rates. If a person can lock in a low-interest rate or low debt payments, it will be much easier for them to make those payments later on when inflation raises other interest rates and keeps wages stagnant or raises them slightly. Except for periods of historic deflation, people need to know what is stagflation, and how it can be debilitating for an economy. It can eat into the wages that people earn with no hope of receiving more. Stagflation means that workers’ wages buy fewer goods, and increase the possibility of a worker going into debt. The process of stagflation also leads to a higher unemployment rate, since slow economic growth results in many businesses losing revenue and being forced to lay off workers. Unless a country has a robust and responsive welfare system, unemployment benefits will be stuck at earlier price levels, and will not be adequate to allow people to continue paying their bills. In addition, many of the approaches that the government may take to improve the economy may only worsen through stagflation. A government agency may offer jobs at a prevailing wage rate to help people pay their bills and stay out of poverty. However, if prices increase then the government wages buy less and less, and poverty hits more and more people. The traditional governmental approach to stopping stagflation in the past has been to sharply raise interest rates and curb government spending. This process, known as quantitative tightening, leads to a slowing of the economy that reduces the number of dollars in circulation. 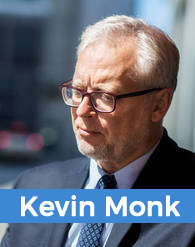 Tight monetary policy often leads to a sharp recession. As a result, millions of people lose their jobs since employers cannot cheaply borrow money to cover their obligations. While the effect does not last forever, even a short recession can leave millions in the lurch. The national economy can often seem opaque, with a series of complex rules governing its operation. Many people turn off their capacity for attention when they are asked what is stagflation. But citizens need to be aware of these rules and their limitations. They must know what is stagflation in order to pressure lawmakers to come up with the most effective solutions for the problem when it arises again. A better understanding of economics will lead to a more informed populace and a more responsive electorate. Feel free to share your experiences, thoughts, and questions about this complex topic.